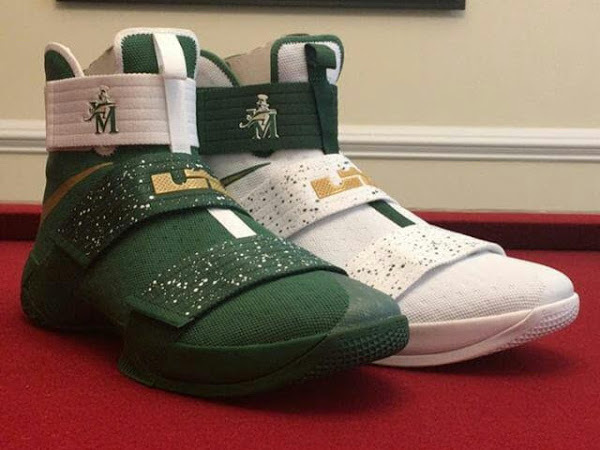 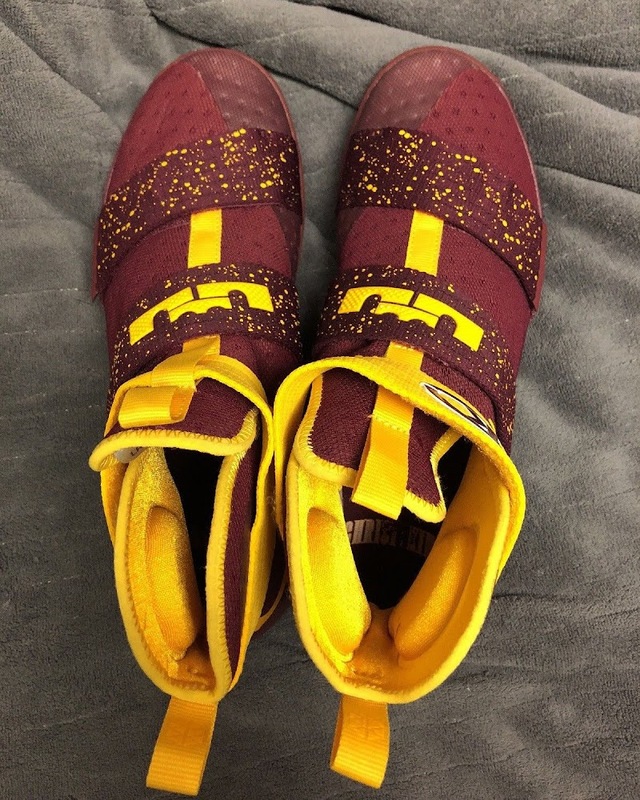 It’s getting more and more difficult to find photos of high school and college editions of Nike LeBron sneakers. 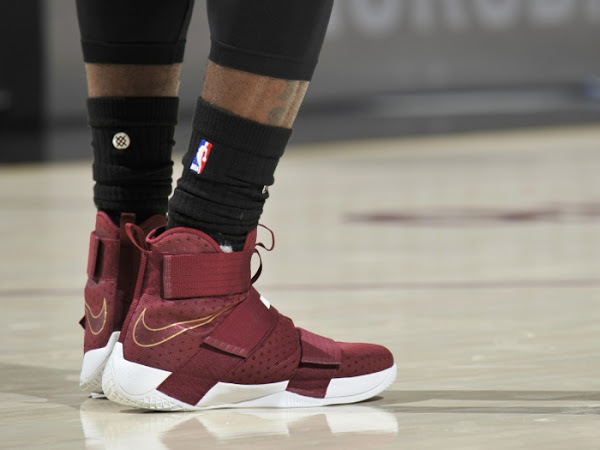 Actually all Player Exclusive styles fly under the radar these days. 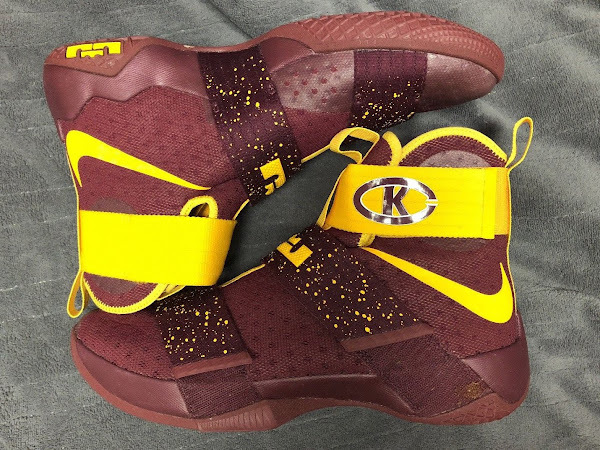 Christ the King High School, which is located in New York, is still under sponsorship from Nike and LeBron James. It’s always been one of the most interesting color themes, Maroon and Gold, mainly because it’s very similar to the Cleveland Cavaliers’ native colors of Wine and Gold. 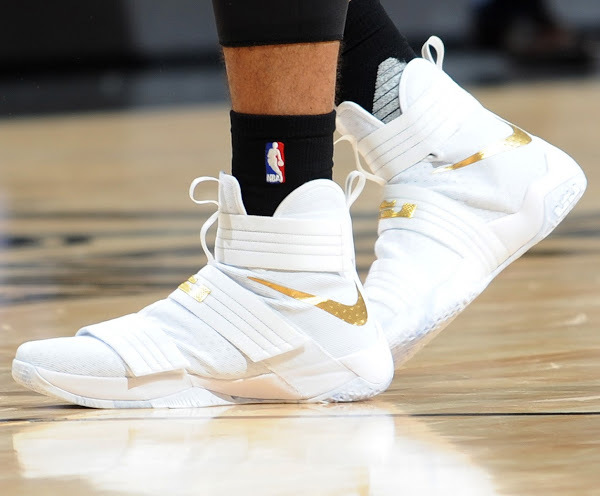 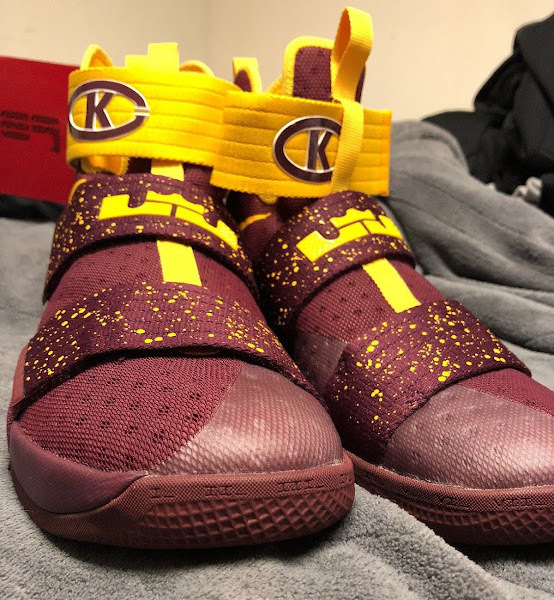 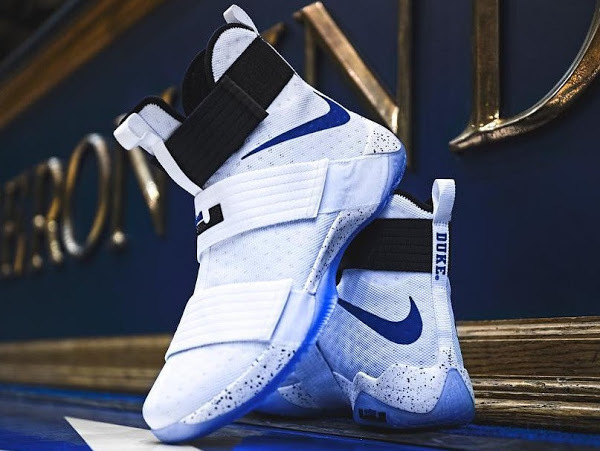 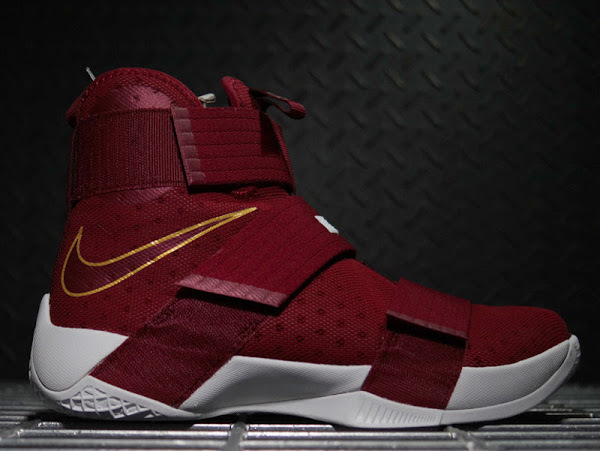 Right now the CTK Royals players are balling in various Nike LeBron Soldier 11s, but it took almost a year for the previous edition to hit the blogosphere. 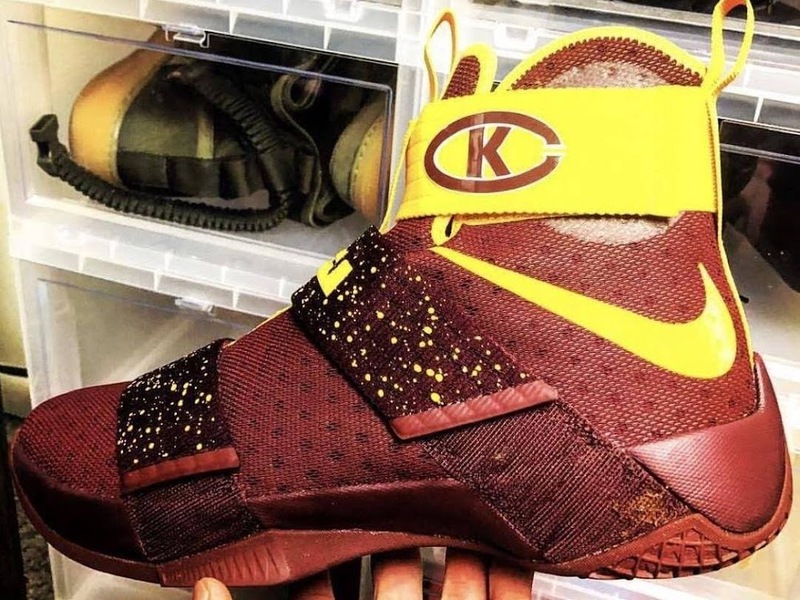 We finally get a chance of profiling the Soldier X CTK Away PE. 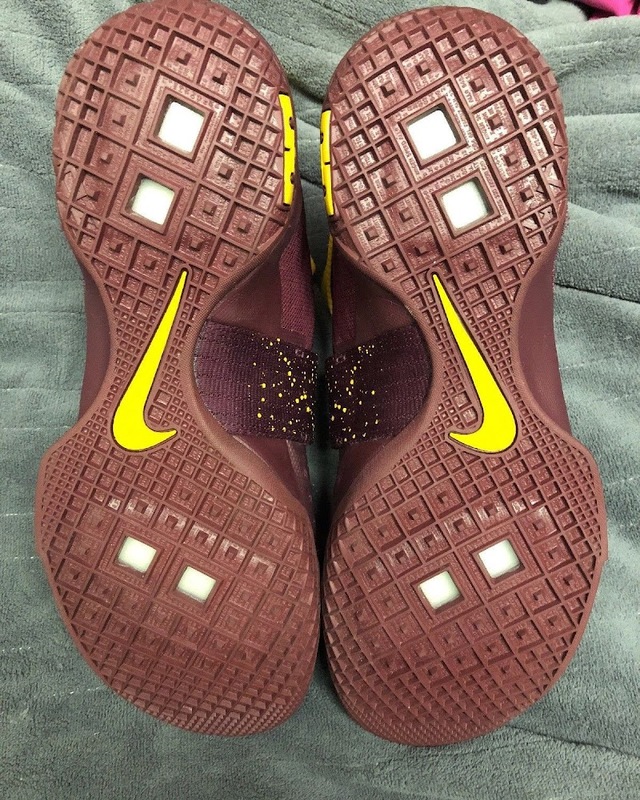 This version sports a Maroon base with Gold branding and contrasting Gold upper strap, which also contains the school’s logo.